But the wait is over, and I finally braved the Christmas shopper crowds to go to Boots and take a look at the palette. It’s fair to say I didn’t need any convincing to buy it once I opened it up and looked inside. It’s absolutely beautiful! The shades are taken from their other eye shadow palettes, and it lists the names on the back of the paper ‘ribbon’ when you purchase it. 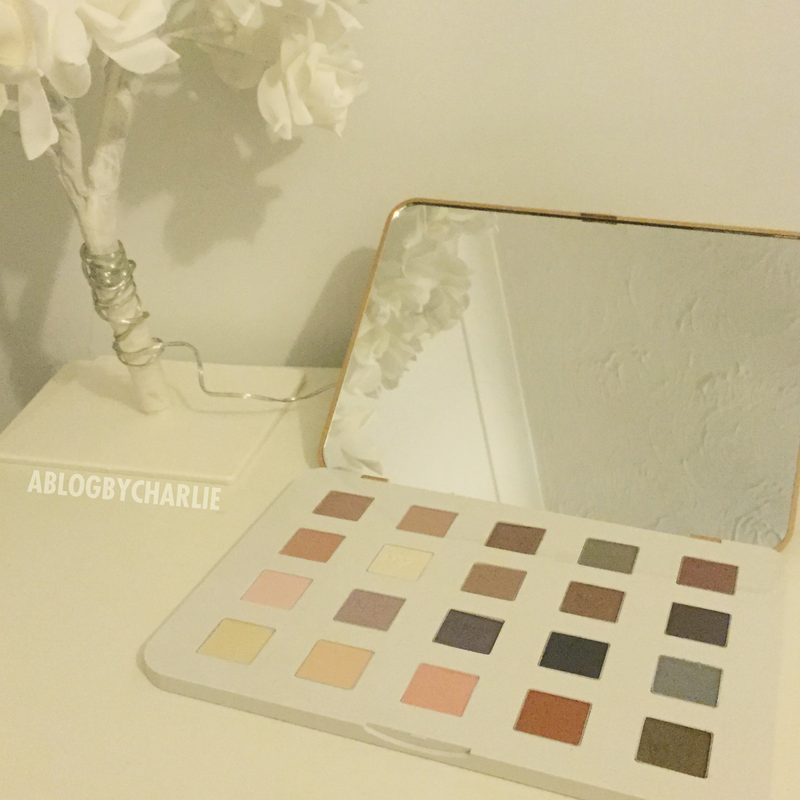 The palette includes 20 of No7’s favoured shades, so at £20 for the palette, that’s just £1 per shade. To me, that’s an absolute bargain and a deal not to miss out on. 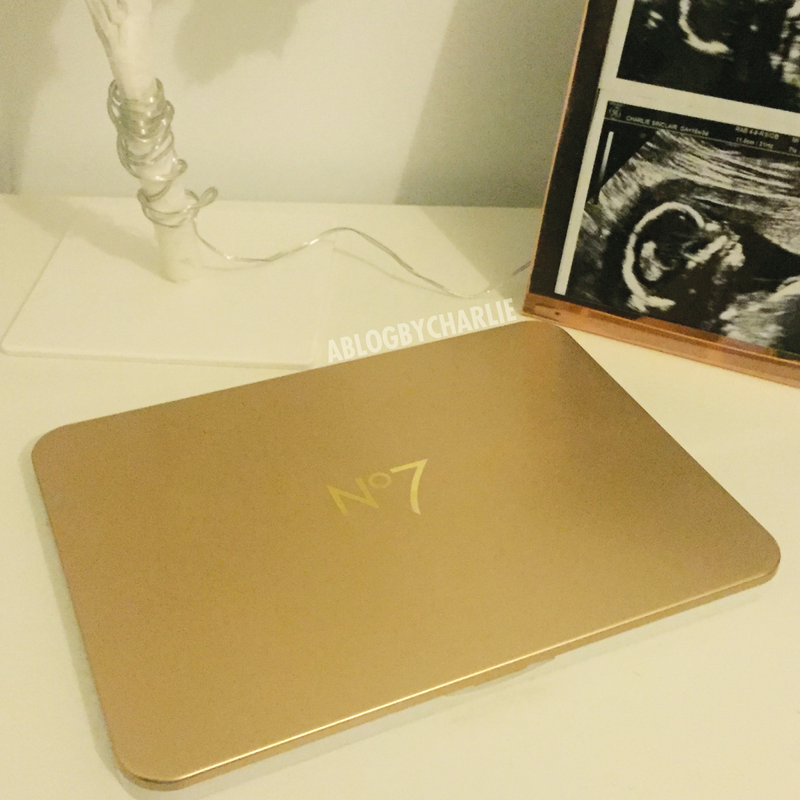 It is part of No7’s Christmas Gift Collection, so I believe it may be limited edition, but I’m not 100% sure so don’t hold me to that! The golden lid gives it such an elegant look, with a white base to complete the simplistic look. A lot of No7 make up is packaged very simply. 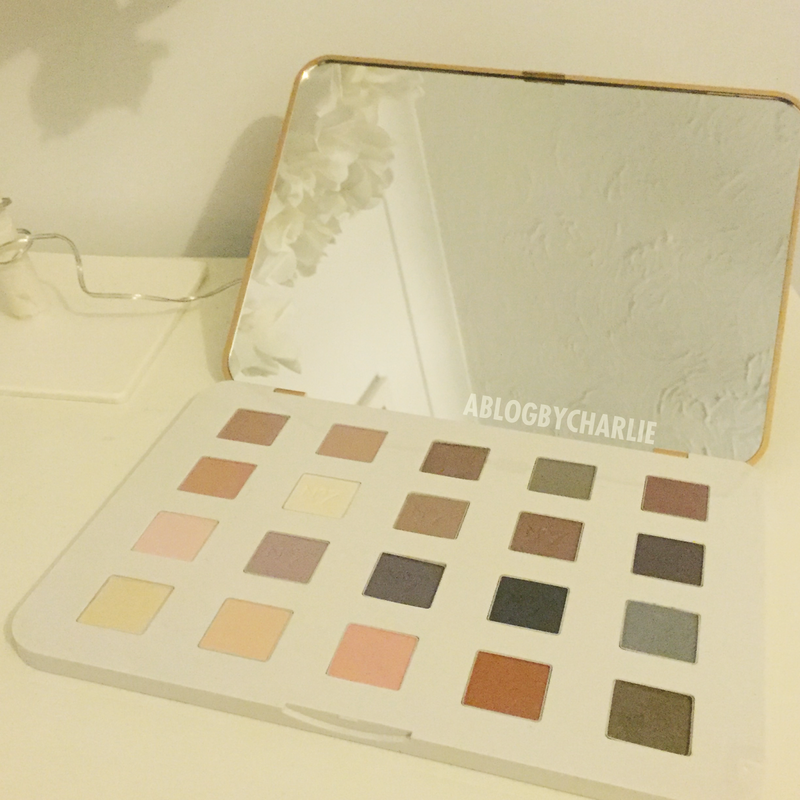 I actually love how it all looks, however I think the packaging to this eyeshadow palette is my favourite! I like simple packaging like this because I feel like it makes the main focus the product, as it should be anyway. On the inside, where it matters, the top half of the palette is a giant mirror. Can I just say, this is one of the clearest mirrors I’ve ever looked in. I don’t know how much of a good thing this is as I can see every flaw I have on my face, but I can also get those tiny eyebrow hairs that need plucking! I always thought that mirrors were mirrors and they were all the same and it didn’t matter if you bought a £5 mirror or a £50 mirror, but now I can totally see it! OK, stop fangirling over the mirror… The shades themselves are absolutely stunning and there’s a whole spectrum of warm, cold, light and dark shades. This palette also has a range of shimmer and matte shades, which really tops off the over all look too. I like the way they’re in the white base as you can see the shade true to colour. I find sometimes when I buy a palette with a purple or black casing it can effect the way my eyes interpret the shade. With white there is no contrast, it’s like looking at a piece of paper. With 20 shades crossing between shimmer/matte, cold/warm, light/dark it’s amazing for any occasion and any outfit choice. This is a palette that is perfect all year round, and perfect for creating a party smokey eye or for creating a light everyday look. I think this palette is an absolute winner. If you want to read the list of shades I have insert these at the bottom of the post. 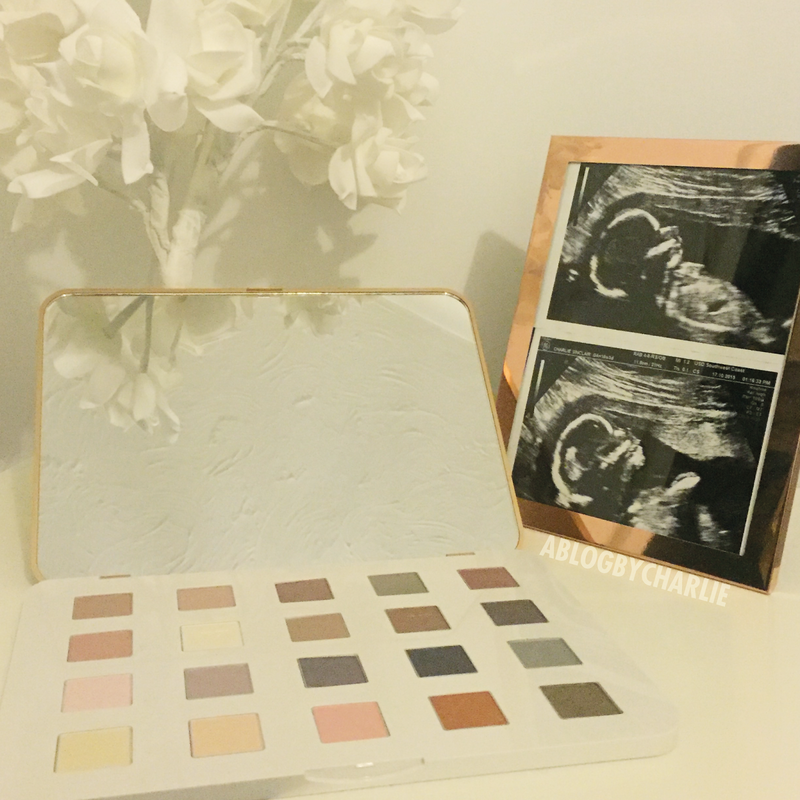 Kyshadow Holiday Palette Review + Look!